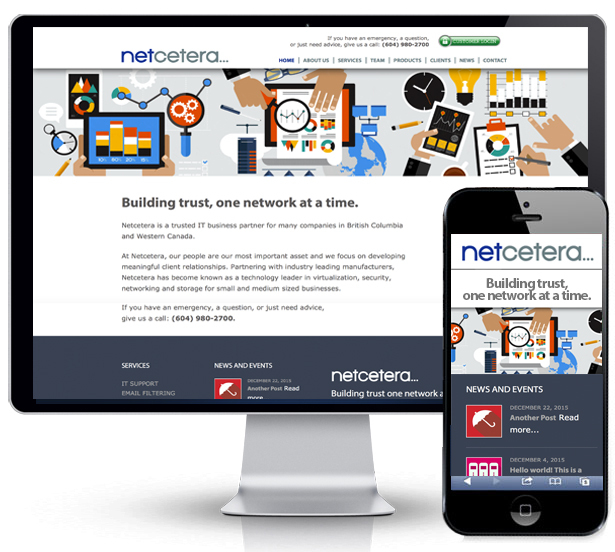 Website design in Vancouver: Netcetera is a trusted IT business partner for many companies in British Columbia and Western Canada. Reddingstone created the marketing message, website design and developed a Content Marketing program specific to their objectives. The website features illustrated and animated graphics in a light-hearted presentation that is representative of Netcetera's personable style.